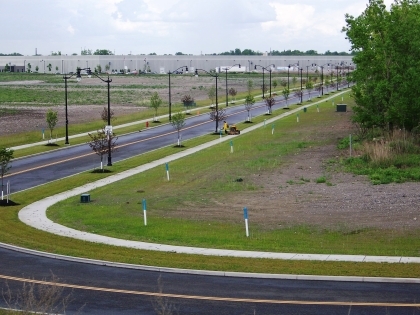 Work has been completed on the fourth phase of infrastructure construction at the Buffalo Lakeside Commerce Park (BLCP). This phase includes Susquehana Drive, which will open up nearly 50 acres of additional shovel-ready land. The completion of this infrastructure contributes to the BLCP's overall goals of fulfilling a need for shovel-ready space within the urban core and attracting green companies to the City of Buffalo. Need an added bonus: free Wi-Fi!